Well here we are with issue 18 and this one really is fabulous! This month’s free gift the lovely Sweet Pea die – the perfect flourish to use as foliage behind your floral sprays and ideal for adding detail where you just need a little something extra! We have a brilliant home décor project for the little Lewis Hamilton or Jenson Button in your life using our new 3Die-mensions Racing Car die. We venture into Trio territory with a whole new concept in die cutting – a set of beautiful floral dies and embossing folders. Last but not least for a special mention are our very striking cards made using the fabulous Quad Bike die, perfect for guys (and girls!) who like to get out in the mud. 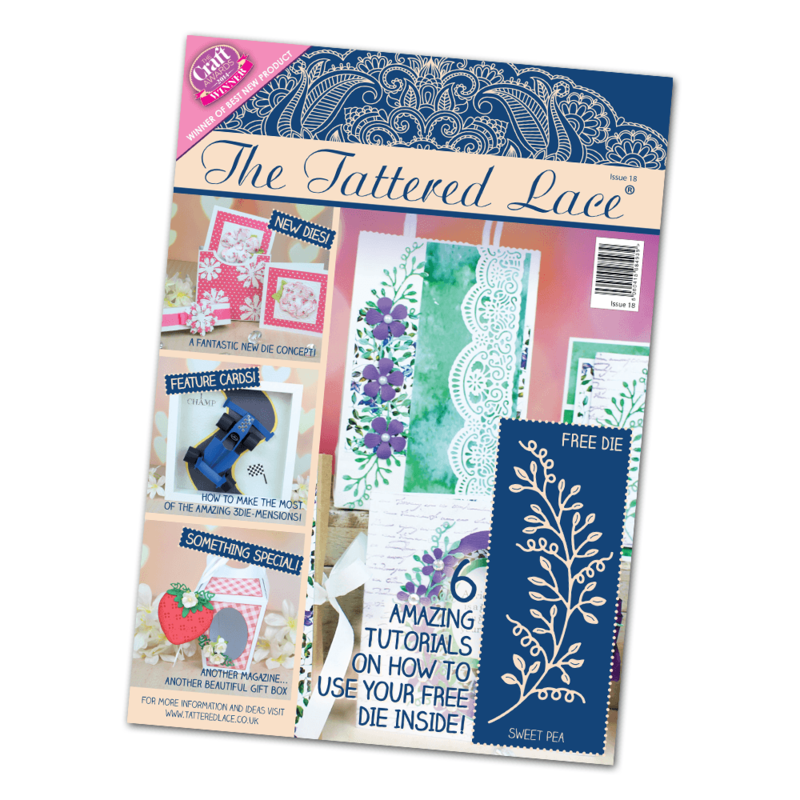 To work alongside your crafty projects are the free papers and in this issue we’ve got some that are perfect to use with these individual dies or any others you may have. And as always we have included templates for dimensional and folding projects with full step by step instructions.